Tottenham have gone 1-0 up vs Borussia Dortmund with a quality goal from Son Heung-min, who continues his superb recent form. Watch the goal video below as the South Korea international uses great off-the-ball movement to make the opportunity for himself. 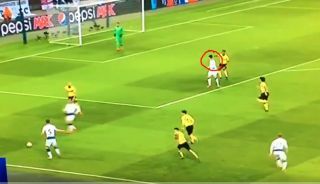 Son takes a little look at the space behind him before moving into just the right area, and from there it’s a fine cross from Jan Vertonghen and a great finish from Son.